Robert E. Miner, 100 years of age, passed away Friday January 18, 2019 at his home. Mr. Miner was born in Cleveland, Ohio on January 3, 1919, the son of the late James and Elsie ( Poots ) Muldowney. He grew up in Freedom Township, and was a graduate of Freedom Township High School. He had been employed as an engineer at Bay State Gas in Massachusetts from where he retired in 1979. He then returned to the Mantua-Freedom area where he has resided until the time of his death. During World War II Mr. Miner proudly served his country in the U.S. Army seeing action as a bombardier. Mr. 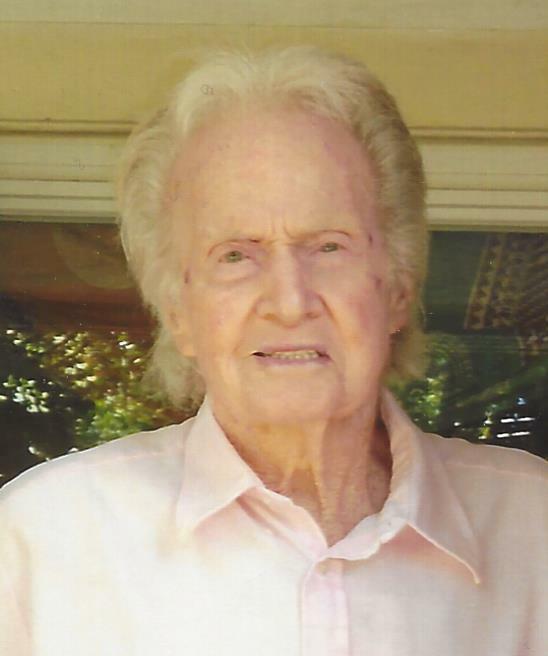 Miner lived a very active life, loving the outdoors where he enjoyed target shooting, splitting wood, and insisting that he could still go hiking in the days prior to his passing. He loved to grow sunflowers, gladiolus, and tending to his numerous types of fruit trees. He also spent time traveling in both the New England States, and in Colorado, and had the joy of sailing with his son Robert in Europe. Mr. Miner was a member of Garrettsville Masonic Lodge F.& A.M. On July 29, 1972 he married Genevieve ( Schoeller ) Miner who survives at their home. Also surviving are his children Joel ( Sheila ) Miner and Suzanne ( Jeffrey ) Croke both of Massachusetts, Linda Matanis of Florida, Elaine ( Chuck ) Layman of Colorado, Elise Tripp of California and Lois ( Brian ) Laver of Mantua; his sister Janet Scott of Virginia; and many loving grandchildren, great-grandchildren, and great-great grandchildren, as well as many nieces and nephews. He was preceded in death by his children Robert H. Miner, Paul E. Miner, and Lynn Gardner; and brother Jack Miner. No calling hours. Cremation has taken place. A Celebration of Life will be held at a later date. Arrangements are by the Green Family Funeral Home & Crematory Service in Mantua where condolences and memories may be viewed at www.greenfamilyfuneralhome.com.